A special week of BEN 10 shows will air on Cartoon Network, leading up to the premiere of BEN 10: Alien Force on Friday, April 18 at 8 p.m.
At last night’s 2008 Nickelodeon Kids’ Choice Awards, Pixar’s Ratatouille won the award for Favorite Animated Movie while Alvin and the Chipmunks won Favorite Movie. Topping off the animation awards was Eddie Murphy winning the award for Favorite Voice in an Animated Movie for Shrek the Third. Check out this cool Speed Racer poster. Drag your mouse over it to see a cool 3D effect. Cartoon Networkâ€™s Robot Chicken: Star Wars DVD has been delayed from May 20 to July 22, 2008 in order to capitalize on Comic Con and the theatrical release of Star Wars: The Clone Wars. 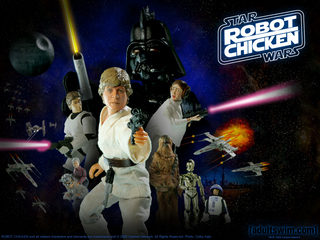 The Robot Chicken: Star Wars episode first aired on Cartoon Network in July. Bonus features include behind-the-scenes featurettes, deleted scenes and commentary. The fine folks over at the wonderful CGSociety have a great in-depth, behind-the-scenes feature of the hit animated movie, Dr. Seuss’ Horton Hears a Who, by Blue Sky Studios. Another explanation was the need to master â€œsquash-and-stretchâ€ techniques that transcended the boundaries of animation physics and character performance and believability in order to capture the wonder and imagination of a Dr. Seuss story. The aim was to produce extreme looks and movements, including an effect to make their legs move so quickly that they smear on screen. Head over to CGSociety to read the entire two page feature. Every South Park episode available online for free! In what could be the best news all week, and its barely Monday, every South Park episode is now available online for free! The official South Park site: www.southparkstudios.com has all 12 seasons available for viewing and the quality is really good too, compared to other internet video sites. The new beta site also includes a new avatar creator, where you can create your very own South Park characters. The only catch to the free episodes is that there are short ads embedded into the episodes which cannot be skipped. No big deal though. Toyota is currently sponsoring the episodes. The launch is a joint venture between co-creators Matt Stone and Trey Parker and Comedy Central; the two will split ad revenue 50/50. 03/24/2008 | Music Video Spotlight, Television | Comments Off on Every South Park episode available online for free! I’m really surprised that more TV networks, movie studios, etc don’t use the power of the internet and animation to their advantage. 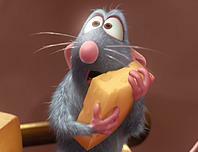 A good animation can go viral on the internet quite easily. Get it on youtube and have a few sites pick up on it and the hits start rolling in. The people who see the animation will then pass the word along via IM or social sites like Myspace and Facebook… pretty soon the hype train is rolling at 100mph and people don’t even notice that the animation they just watched was an advertisement. Then, once the viewer sees the show on TV they’ll say “Oh, that’s that show that was mentioned in that cool animation. Hmm… I wonder what this show is about.” And if the show is good, a new audience member has just been gained — all through the power of the internet, animation and viral marketing. Here is an example of a Showtime animation for the second season of their hit show The Tudors, premiering Sunday, March 30, at 9PM ET/PT. I personally haven’t seen The Tudors but am now interested to see exactly what the show is about… hey, Showtime, how about you send over a copy of Season 1 on DVD.